Dr. Yu graduated with honors from the University of California, Davis with a degree in Physiology. She received her medical degree from the UCLA School of Medicine. Dr. Yu completed her internship and Family Practice residency at Kaiser Sunset Hospital, Los Angeles. She is Board Certified in Family Practice and a member of the American Academy of Family Physicians. 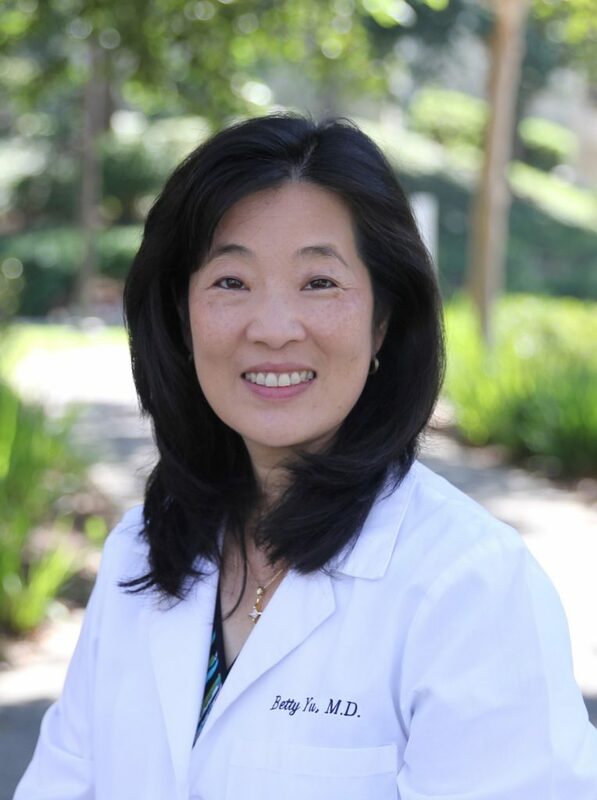 Dr. Yu is the Vice Chair of the Department of Family Practice and a member of the Education Committee at Orange Coast Memorial Medical Center.